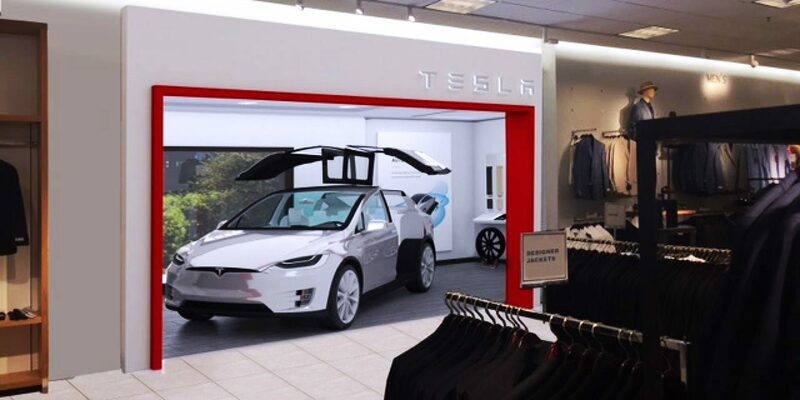 Earlier this year, Tesla made its already unique retail strategy in the auto industry even more unique by opening a small retail gallery in the Nordstrom store at The Grove in Los Angeles. At the time, both the automaker and the upscale fashion retailer described the partnership as a pilot project to explore the retail strategy of combining the sales of high-end fashion with luxury vehicles. Tesla has an undoubtedly unique retail strategy in the auto industry, the company owns all its retail locations and has plenty of ‘galleries’ in malls, which is unusual for an automaker, but it is now taking it to the next level by launching a pilot project to sell its vehicles inside Nordstrom stores – starting with the one at The Grove, a multiplex retail center in Los Angeles.